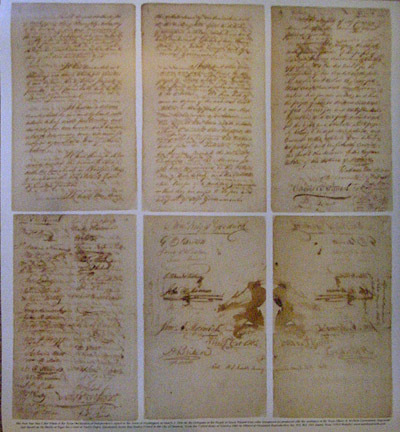 This set of two 26" x 30" posters display all 12 pages of the original document. The First Sheet of Six Pages of the twelve total pages have the following information on the bottom of the first Sheet which measures 28 1/4" in len.2th and 26" in width. The Second Sheet of Six Pages of the Twelve total pages has the following information on the bottom of the Second Sheet which measures 28 114" in length and 26" in width.